As with normal ground level photography satellite images are often most impressive with a low sun position. 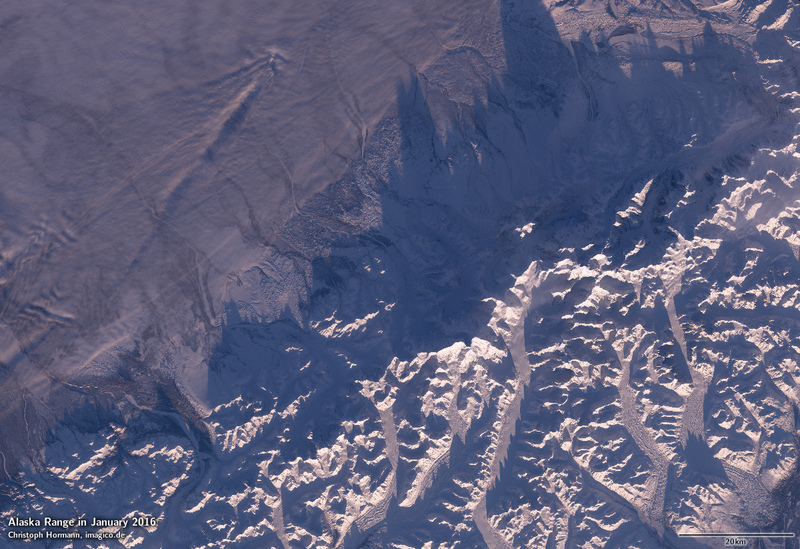 Here is a Landsat based view of the highest mountain of the Alaska Range, Denali from January 16. 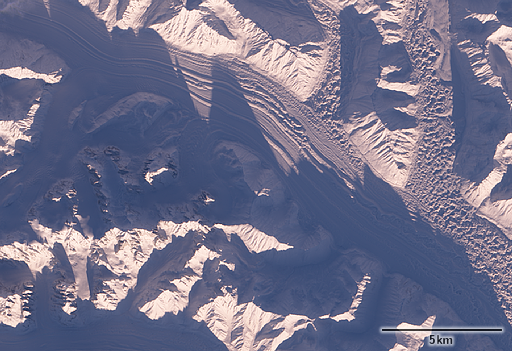 The Denali is located on the center right, easy to identify as the peak casting the longest shadow of more than 50km length extending beyond the northern edge of the image. Lighting well emphasizes the structured surfaces of the glaciers on the southern side of the mountains. 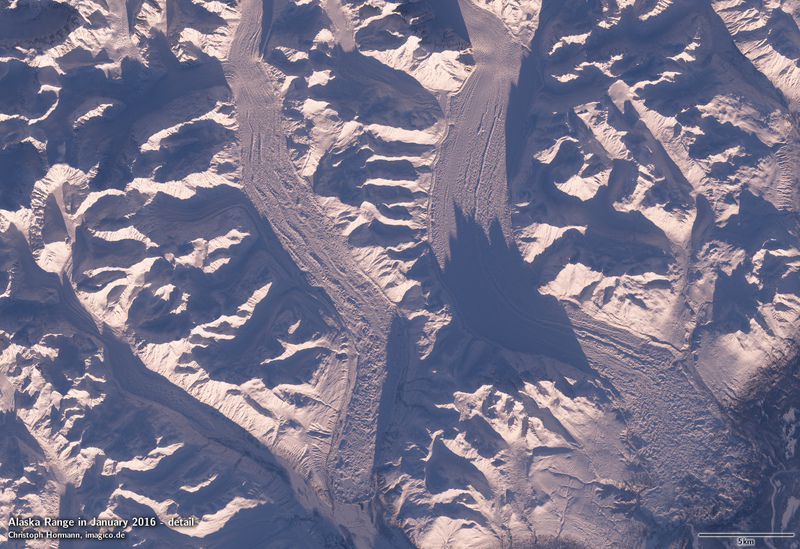 For comparison i showed summer imagery of the area last year.